Cleland Powell is the Executive Vice President and Senior Commercial Manager at IBERIABANK. He is a graduate of Tulane University, The Gouzetta School of Business at Emory University, and The Graduate School of Banking at University in Wisconsin. Cleland’s community involvement has extended over four decades serving on over 50 Boards both public and private. His current service includes The City Park Improvement Association, The Louisiana Endowment for The Humanities, The Libby Dufour Fund, Dillard University Board, Tulane Presidents Council, Xavier University Board of Visitors, LePetit Theatre, The New Orleans Police and Justice Foundation and The National World War II Museum. 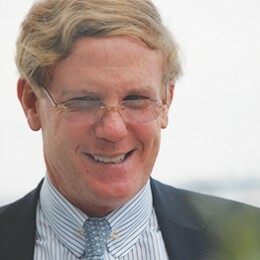 In addition, Cleland is the recent Past-Chairman of the Greater New Orleans Foundation, Board Member and Vice Chair of The Legacy Donor Foundation, Board Member of The Touro Foundation, Board Member and Chairman of The Institute Of Mental Hygiene, and Chairman of The Louisiana SPCA Foundation. He has been honored with numerous awards for his community service including the distinguished Weiss Award. Bastion, a 501(c)(3) nonprofit organization, supports returning warriors and families through their transition from military service and beyond by providing a healing environment within an intentionally designed neighborhood.